The staff member serving me was really miserable. Receipt says Emma but didn't see her name badge.After I had purchased the pair of trainers, my daughter wanted to put them on immediately. I popped to the desk after noticing all the stitching was undone on the inside of the shoe and asked if I could swap them. She went and checked and there weren't any other sizes and just said no there's none and passed the shoes back to me. She didn't ask if I still wanted them or offer a refund to return them or a discount or exchange.Just gave them back and started talking to her colleague. Just miserable. 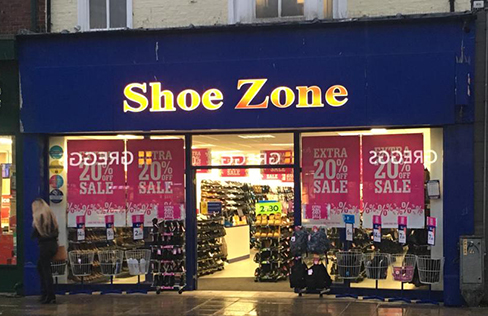 lots of nice choice of shoes and a range of colours but staff can be a little bit unfriendly and rude at times. Store was lovely & tidy & all shoes were hung in place, Nicola was very helpful in locating my size in 1 pair I wanted to try on & I bought them & the other pair was easy for me to find & I bought those also. Your Staff in this store are always ready to help & with me being a 77 year old disabled OAP, that is what I like about this store.